Hair loss is a common problem especially among young adults. As one hits the twenties, hair loss is quite visible and you may notice a receding hair line on the head. Nonetheless there is hope for all suffering from hair loss. There are a number of products out on the markets that one can try out in order to control the rate at which they are losing hair. Malnutrition is one of the major causes of hair loss and that is why magnesium and hair loss is such an important topic. Below we are going to look deeper into the connection between hair loss and magnesium. Most of us have definitely heard the name magnesium used somewhere, maybe in middle school in a science class but if asked what magnesium is, few of us can confidently define it. Magnesium when absorbed by the body is used up by organs such as the heart and kidneys. It also facilitates proper functioning of body muscles and helps reduce fatigue, stress, weakness as well as abnormal heart rhythms and eye twitches. When taken in surplus, the extra magnesium is stored up in the bones for use in biological function at a later time. According to medical doctors, the average male is supposed to consume between 400 to 430 milligrams of magnesium while the women are required to have at least 310 mgs. Interestingly, recent research that was done in the United Stated estimated that well over 80 percent of adults in both urban and rural set ups do not get enough magnesium and unfortunately most of them have no idea they are magnesium deficient. While the 400 and the 310 milligram threshold is what are nominally accepted, it is only just barely enough. This is according Dr. D Carolyn, a practicing medical doctor and a specialist in naturopathic medicine. What I believe is the scariest thing about all this is just how difficult it is to correctly diagnose a deficiency in magnesium levels, especially for the lay man. This is majorly because most of the symptoms that are associated with it are widely misunderstood or misinterpreted. Take for instance hair loss and balding. Without exposure to the right information it is almost impossible to relate hair loss to insufficient magnesium levels. Interesting, research now shows that this is in fact one of the leading causes of hair loss among both men and women. Fortunately, however, after this article we should be able to decisively know what to do in order to remedy our hair loss problems. How Hair Loss and Balding Happens? In order to understand how Magnesium works to help reduce hair loss it is important that we first get to know how hair follicles are calcified. This calcification occurs when, because of inflammations on the scalp, calcium is deposited in small amounts, over prolonged periods, on the hair follicles. It is these calcium deposits that eventually result in hair loss in most people. According to Dr. Ballenger who is a specialist in neurology and an outspoken doctor on matters to do with hair loss claims that hair loss occurs where calcification in the bones that make up the skull knits up and closes the skull sutures as well as narrowing the blood vessels that allow for blood to flow to the follicles. Therefore, in our struggle to mitigate hair loss, it is very important to establish methods we can use to help keep unwanted calcium in our body’s soft tissues. One sure way of doing this is by the use of magnesium oil. Like we have already established, hair loss results from inflammation of the scalp and follicle calcification. Solving the problem of balding will then require us to eliminate these two root causes. Thanks to our rapidly evolving technology, several anti-inflammation procedures and drugs are now available to the public. A few of these are the Low Level Laser Therapy and the Eclonia Cava Extract all of which work phenomenally at reducing inflammation. Magnesium then comes in to help dissolve the calcium deposited in the follicles. How to Know You Have Magnesium Deficiency? How to Best Treat Magnesium Deficiency? This is no doubt the most practical way and the most economical I should add. It is as simple as knowing which foods are rich in magnesium and purposing to have them included in our everyday meals. One easy way I have found that you can use to identify foods that have high magnesium content is to go for foods that are high in fiber. Examples of these are pumpkin seeds, black beans, brown rice, halibut, and Almond oil. Dark chocolate also has a fairly good amount of magnesium in it as well as cashew nut and sunflower seeds and these would especially make for good magnesium packed delicious desserts. These foods will ensure that the body has continuous supply of magnesium ions which in turn will translate to good healthy hair and scalp. Dietitians also recommend taking magnesium supplements in order to boast the magnesium we get from the food we meet. These supplements are available in most drug stores and can be sold as over the counter prescription. According to science, magnesium can be as easily absorbed through the skin as it can internally i.e. when eaten in food. This transdermal absorption of magnesium can work whether you rub yourself with the oil or put some of it in a hot bath and soak in it. When rubbing in the oil, you should experience a warm tingling sensation and this is clear indication that the oil is being absorbed into your blood stream. This oil can be applied on your scalp and other areas of your body where the skin is thin. However for efficient use of the magnesium oil to cure hair loss, it should be applied on the scalp. A word of caution though: do not let the oil stay on your scalp for over half an hour. This is because the salts in the oil have a dehydrating effect and can dry out your skin if left on for too long. You will be happy to know that this does not even need to cost you a lot of money; you can use homemade magnesium oil. Caution needs to be taken when you are buying magnesium oils to reduce the risk of purchasing illegitimate contaminated oils. Like we have already established, hair loss results from inflammation of the scalp and follicle calcification. Solving the problem of balding will then require us to eliminate these two root causes. Thanks to our rapidly evolving technology, several anti-inflammation procedures and drugs are now available to the public. A few of these are the Low Level Laser Therapy and the Eclonia Cava Extract all of which work phenomenally at reducing inflammation. Overall health improvement. Every body cell uses magnesium and thus sufficient levels of magnesium in the body will help your body cells function better including hair cells. Step 1: Take a half cup of magnesium chloride flakes. Step 2: Measure half a cup of distilled water and boil it. Step 3: Take the boiling distilled water and pour it on the magnesium chloride flakes and stir to form a solution. The solution formed is magnesium chloride oil and can be stored for up to six months. The most common side effects of using magnesium oil to cure hair loss are skin irritation and itchiness when applying the oil to the scalp. Like I had pointed out earlier, the salts in the oil can dry up your scalp and give you a stinging sensation. However, these side effects can be easily managed by diluting the daily dose used as well as not keeping the oil on too long. 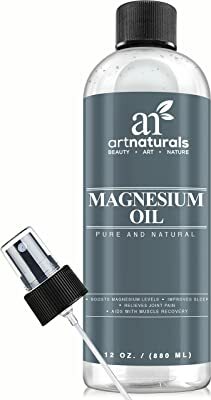 We have established that there is a connection between magnesium and hair loss and that if identified sooner, hair loss can no doubt be corrected by use of magnesium oils for body and scalp. Because it is a natural solution, it comes with very few and minor side effects and is also fairly affordable. What is more, it has a proven record of success and you can be sure it will not disappoint you.